We are pleased to announce an exciting new chapter of our Scholarship Programme! 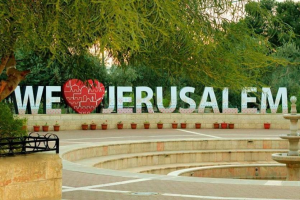 The Galilee Foundation has partnered up with Al-Quds University (AQU) in an effort to provide disadvantaged Palestinian students from the West Bank and East Jerusalem, the opportunity to gain a higher education. In 2019, we launched the Scholarship Programme by supporting ten outstanding students studying a variety of subjects including Law, Business, Pharmacy, Engineering, Health Professions and Medicine. As part of this programme, our students will be required to participate in volunteering activities such as organising conferences and working in orphanages, in order to prepare them for life after academia. We hope to be able to expand to other universities soon! Al-Quds University, founded in 1984, is a Palestinian University,and the only university in the world to be situated by a separation wall. AQU provides higher education and community services within the Jerusalem area, as well as the neighbouring towns, villages and refugee camps in the West Bank. If you would like to support this Scholarship Programme, please donate here. 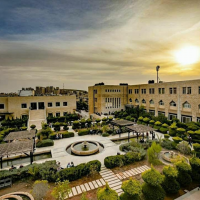 Students can also find out more about how to apply for a Galilee Foundation Scholarship at Al-Quds University here.